We all know the phrase “t for Texas, t for Tennessee, right? This year we added “t(wo) for Thanksgiving”. That’s right, this year was the year we had to share our children with all their other extended, far-away families. We do this every other year. If your family is like ours it is a combination of birth family, married-into families, step-families, long-time & new-friends-families. 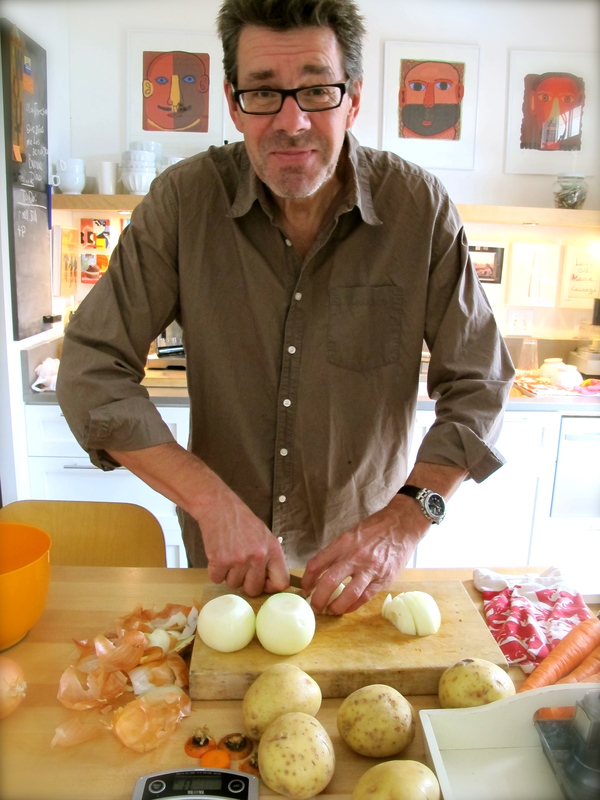 So Wouter & I had great day cooking a simple meal, a meal of not-too-much, a meal of local bounty and international recipes. We spent the day together cooking, talking, laughing and telling stories. For recipe: Go to relishmag.com. In search enter: “Asian Roast Turkey with Sticky Rice Stuffing” This is the cover story for the November 2010 Issue. 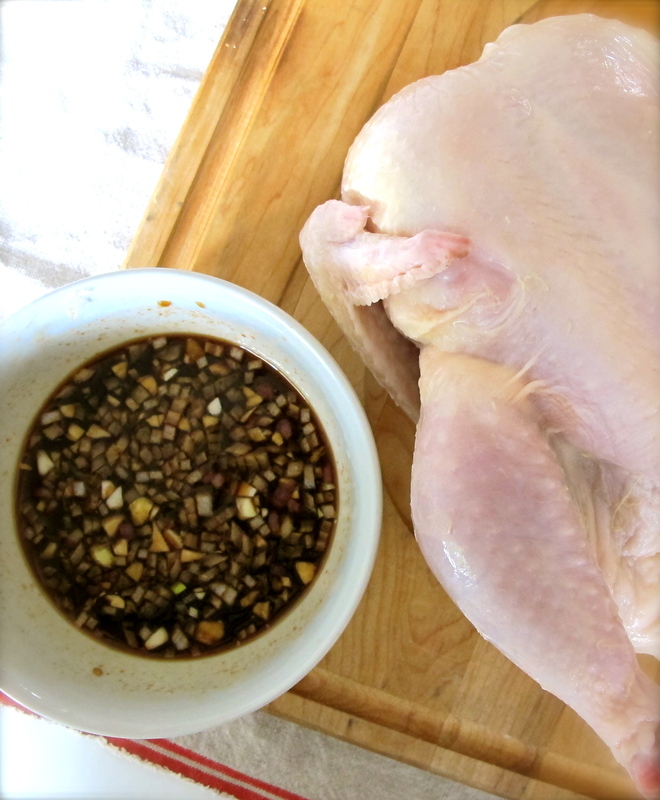 I wanted to cook a roasting hen using the same ingredients so I just cut everything in half for the basting glaze. 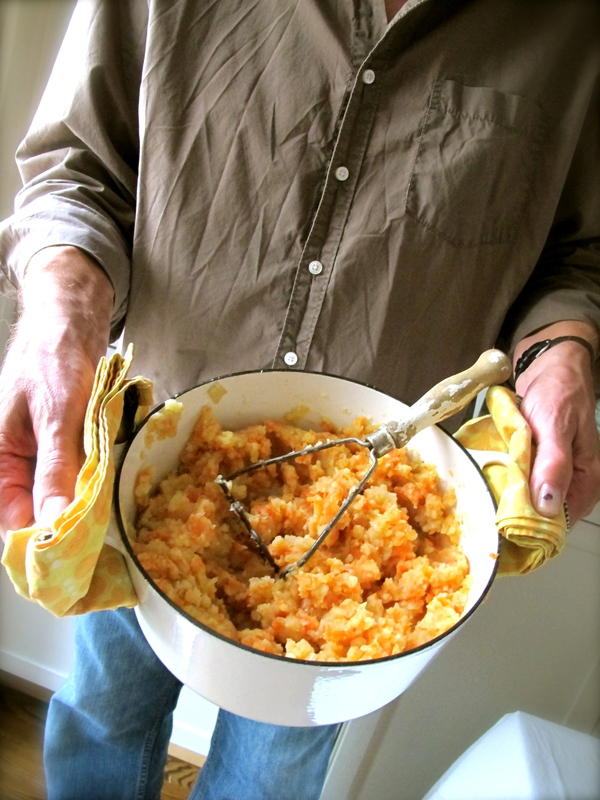 Also I wanted the have Hutspot, so I did not make the Sticky Rice Stuffing, although I highly recommend it. The original recipe is by cookbook author Corinne Trang and is one of the most delicious bird recipes I have ever tasted. 1. Rinse and dry bird. Make basting glaze according to the recipe. 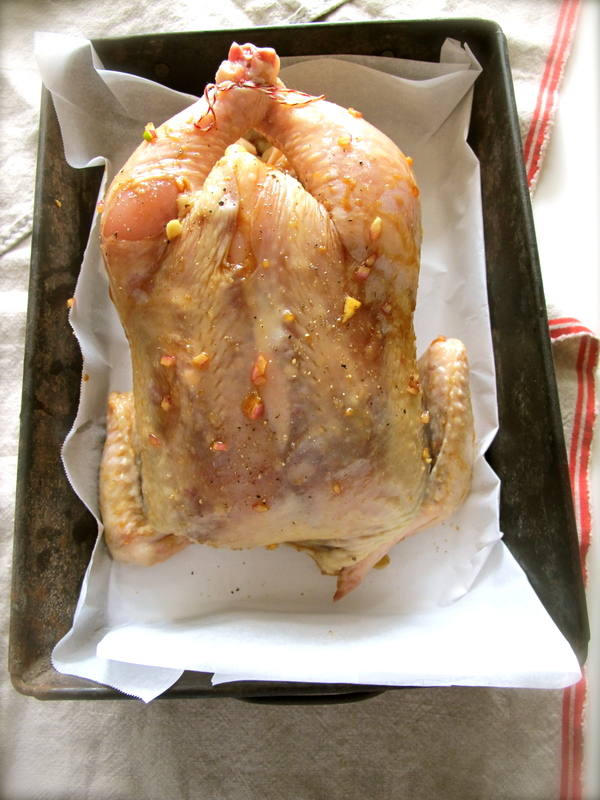 Following original recipe, loosen skin of the bird, add glaze under skin and on top. Roast following recipe based on the size of the bird you are cooking. 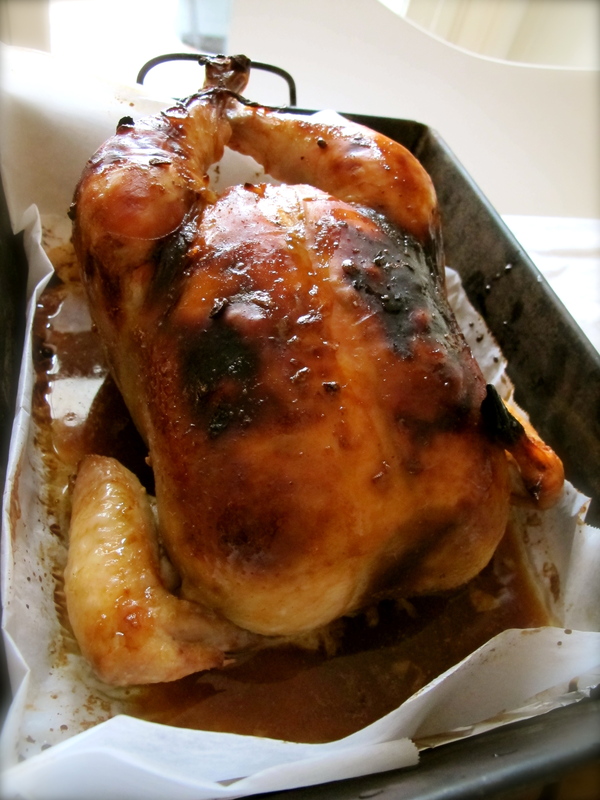 Roast bird until the skin is very brown and crispy. Use the pan juices to make an au jus-gravy by whisking in a bit of flour & black pepper. 1. 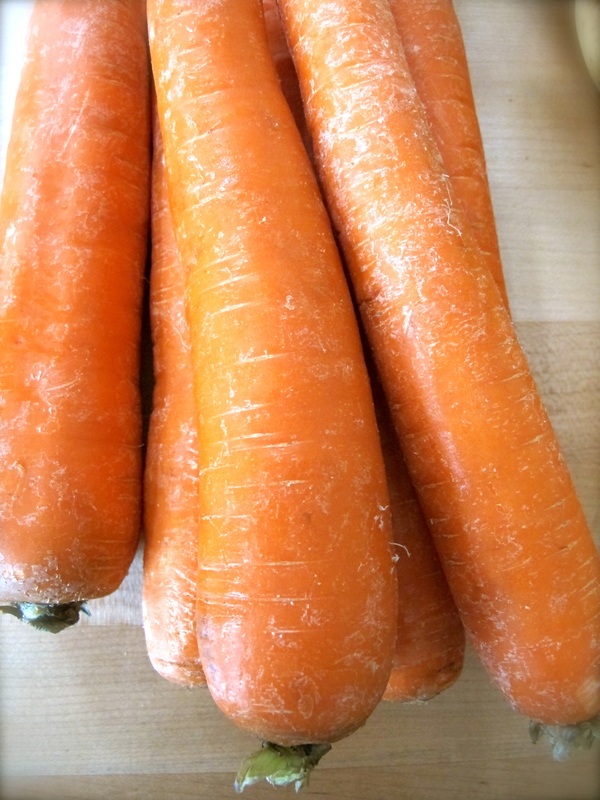 For this you will need: 2.2 lbs (1 kilo) each carrots, onions & potatoes. 1/2 lb beef sirloin (or similar cut) sliced into 2 equal pieces, 8 ozs butter, salt & pepper, 1 cup water. 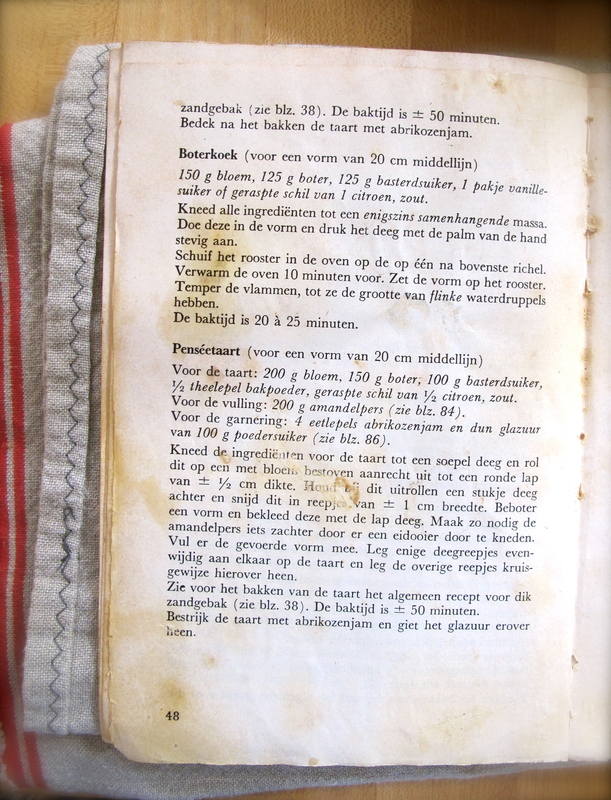 A large dutch oven or stock pot. 2. 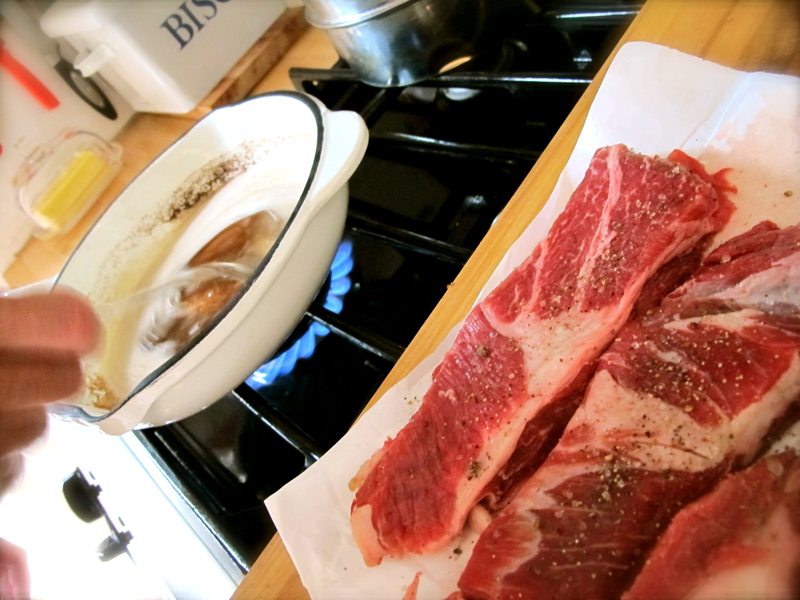 Brown butter in a pan over medium-high heat, add meat seasoned with salt & pepper. Meat will sizzle & turn brown, lower temp and continue to cook for about 1/2 hr. until meat is tender. 3. 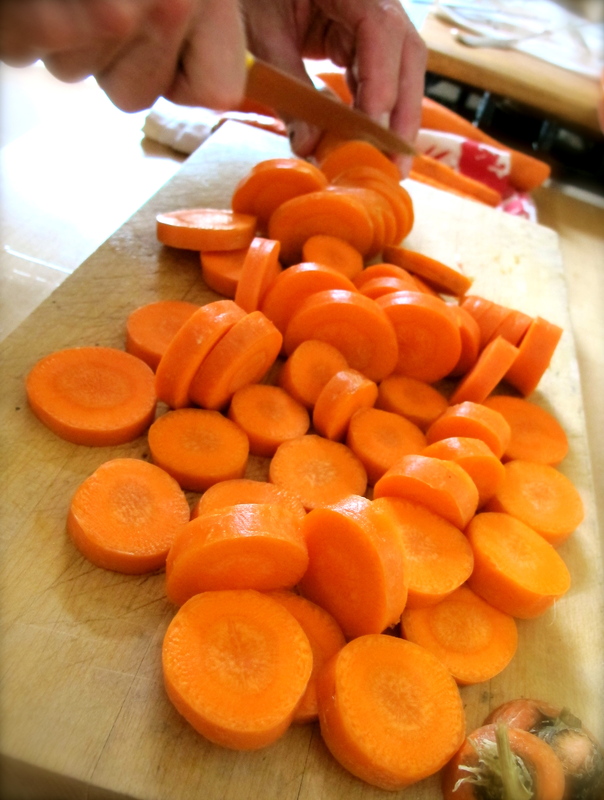 While meat is cooking, wash & cut carrots into thick “coins”. 4. 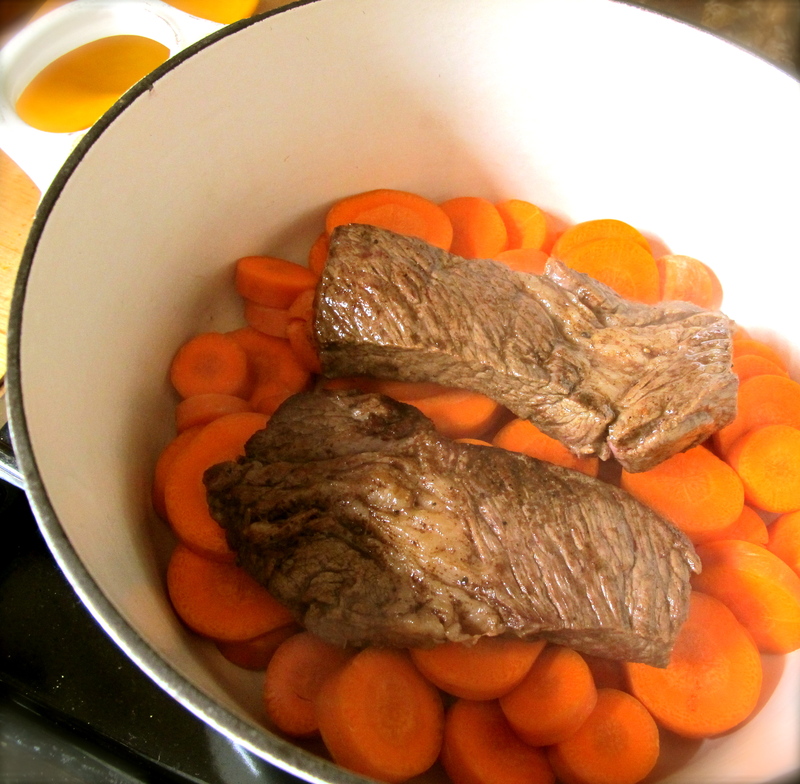 Place carrots in the bottom of pan and top with slices of cooked beef. 5. 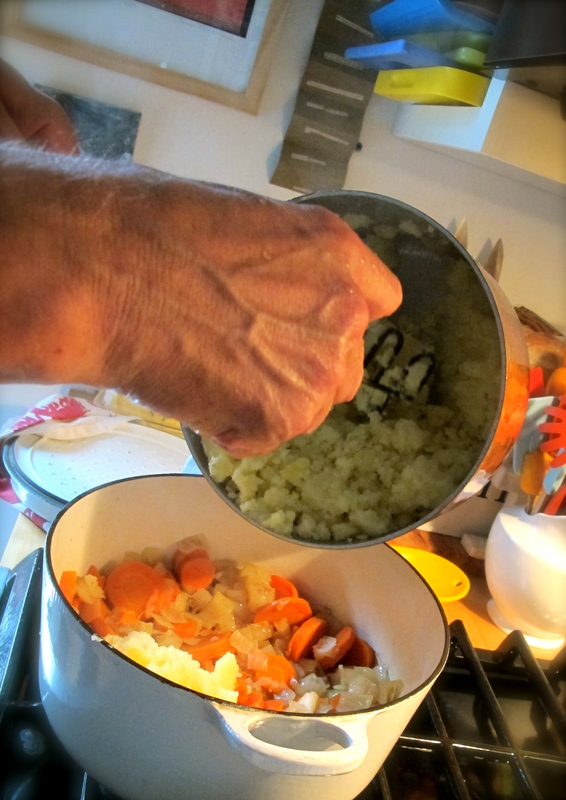 Chop onions into large chunks and add to pot on top of carrots & meat. Add 1 cup water. 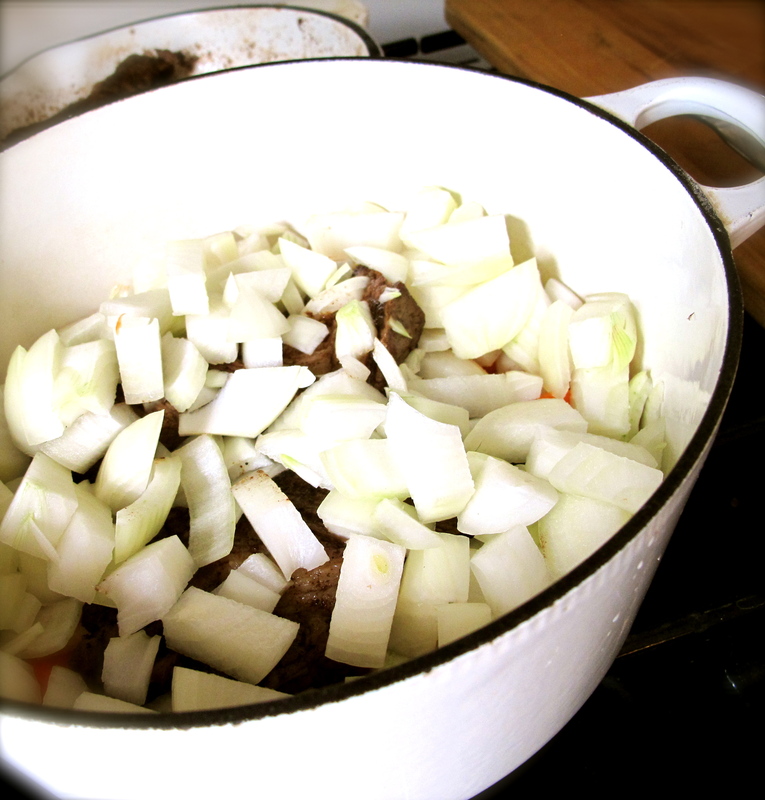 Place over medium-high heat and bring to a boil, lower heat, cover and simmer for about 1.5 hours. Carrots & onions should be very “mashable” soft. 6. 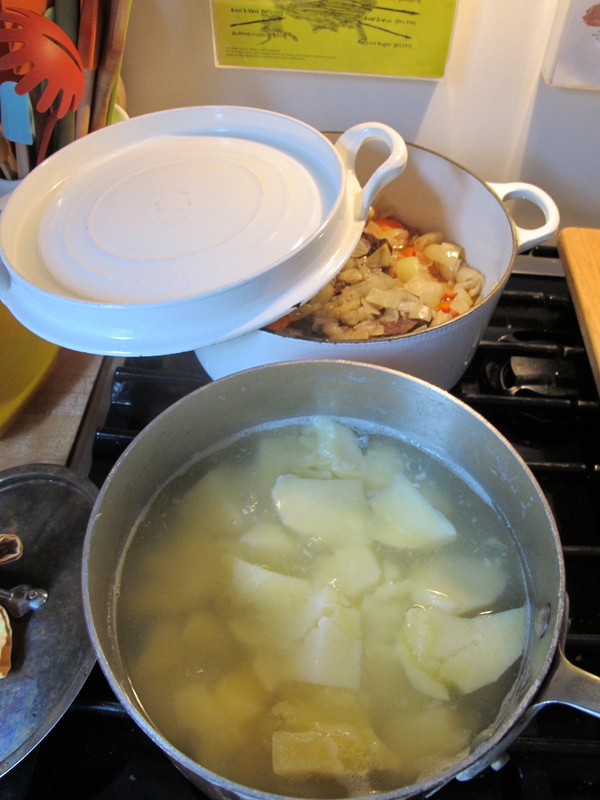 About 1/2 hour before carrots & onions are cooked, peel potatoes, cut up and put into a pan of water. Cook for about 20 minutes until very soft. 7. 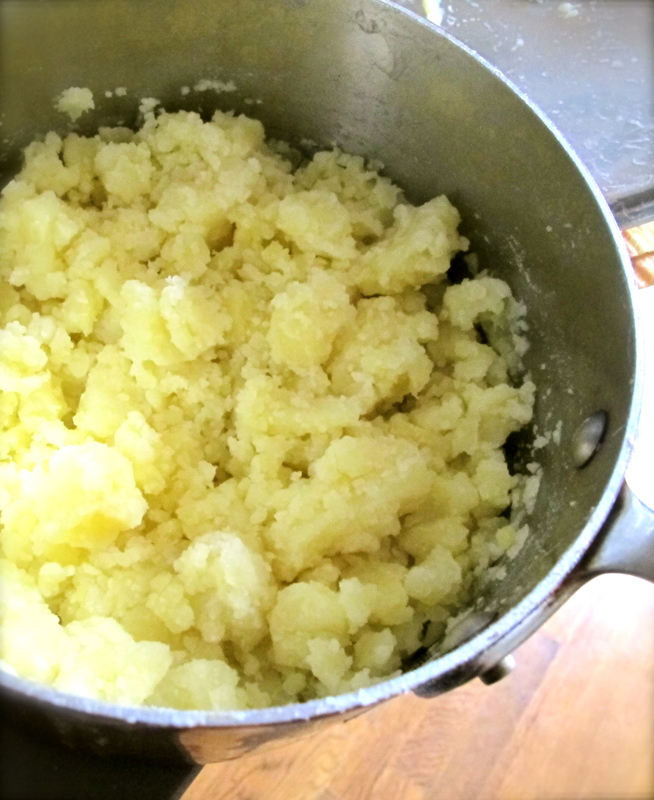 When soft remove potatoes from heat, drain and mash-up. 8. 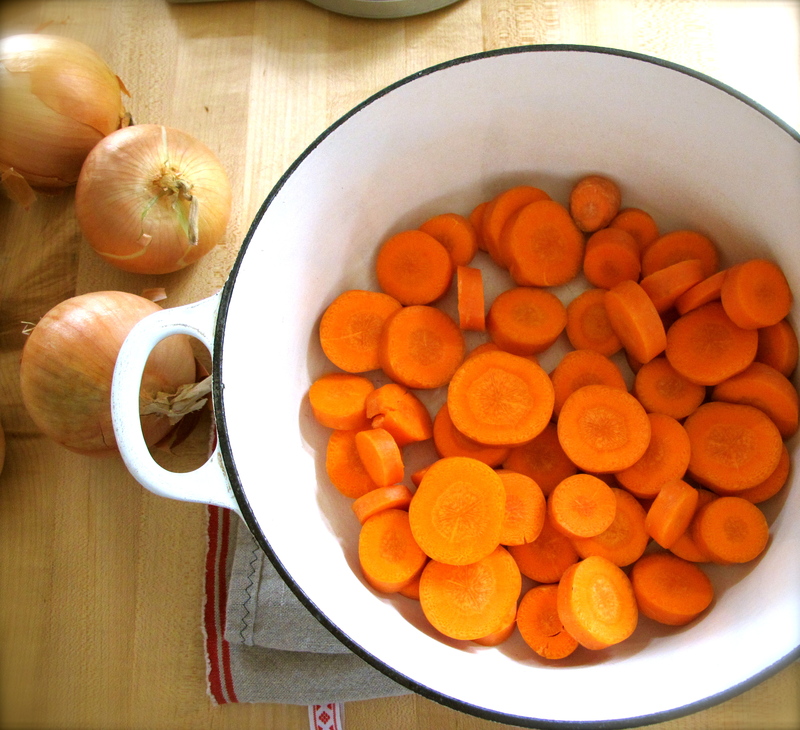 Remove meat from the pot of carrots & onions. Set aside for later use. Drain liquid from pot. 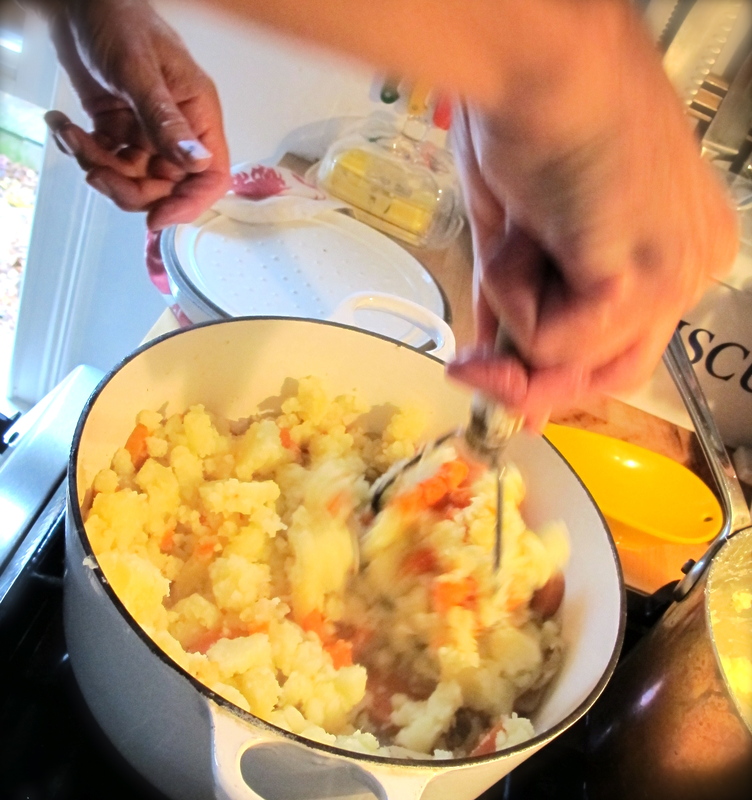 Add mashed potatoes to pot of drained carrots & onions.With a potato masher or large fork “stomp” all the vegetables together until they are well incorporated. Add salt & pepper to taste. This dish has everything you like about mashed potatoes with the added sweetness of carrots with a hint of onion added it. 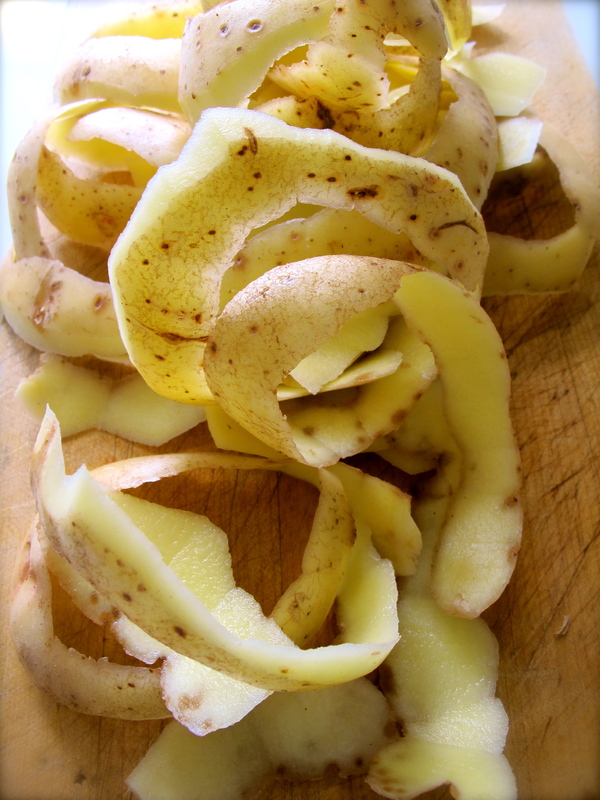 Wouter used Yukon Gold potatoes which are very “mashable”. Cover and keep warm until ready to eat. 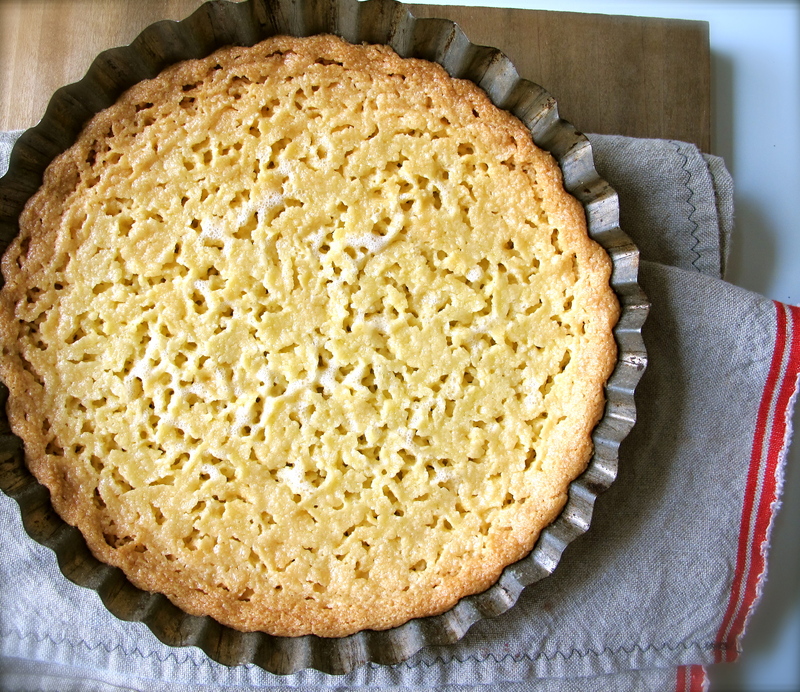 For this you will need: 150 g all-purpose flour, 125 g butter, 125 g basterdsuiker (more about this later) or castor sugar. 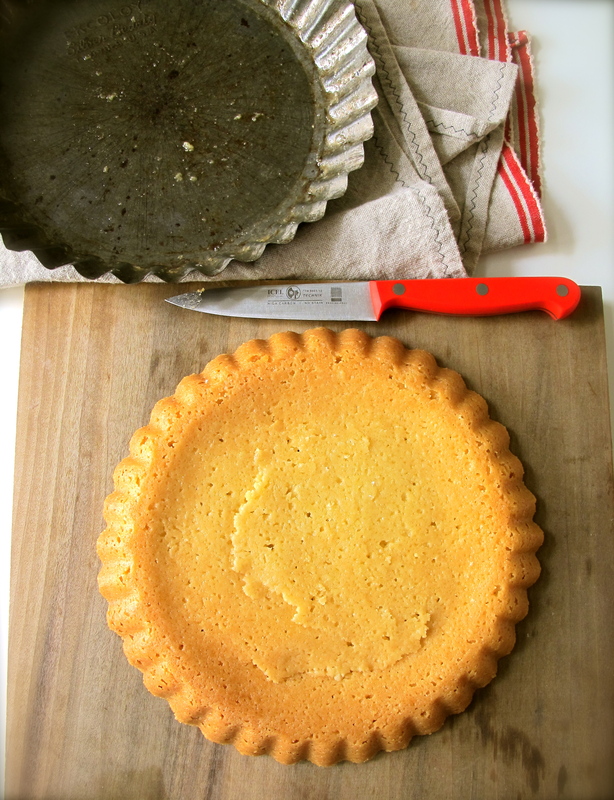 Basterdsuiker – Wouter brings this back from Amsterdam and is what all his dessert recipes call for. I have investigated and found there is no comparable sugar sold in our supermarkets. You can substitute Caster Sugar, or in a pinch regular sugar I suppose. Basterdsuiker has the wonderful consistency of our light brown sugars but is a very white, moist sugar that incorporates into your recipe more readily than our regular granulated sugar. You can order this online just by Googling it. After using it for desserts I really love it and wish we could buy locally. 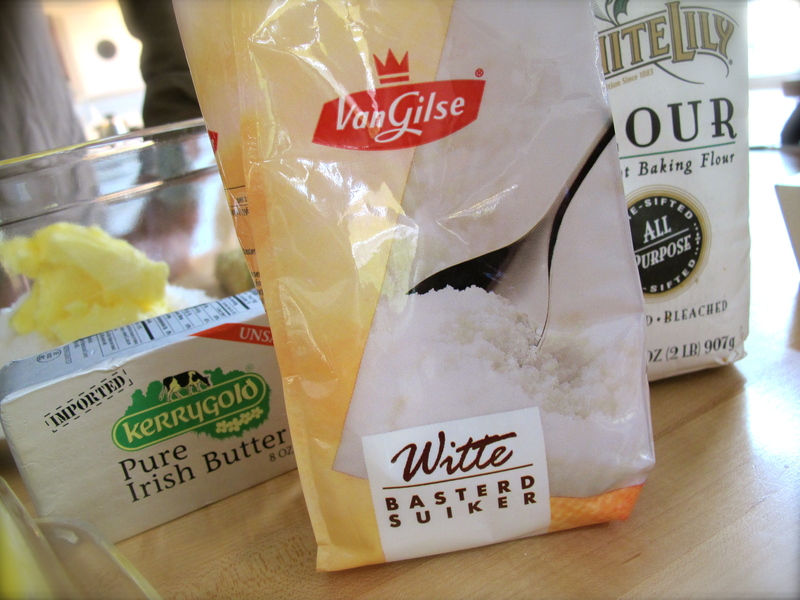 I like that Wouter used Irish Kerrygold butter, Dutch sugar and Tennessee White Lily flour in this recipe! 1. Preheat oven to 350 degrees. 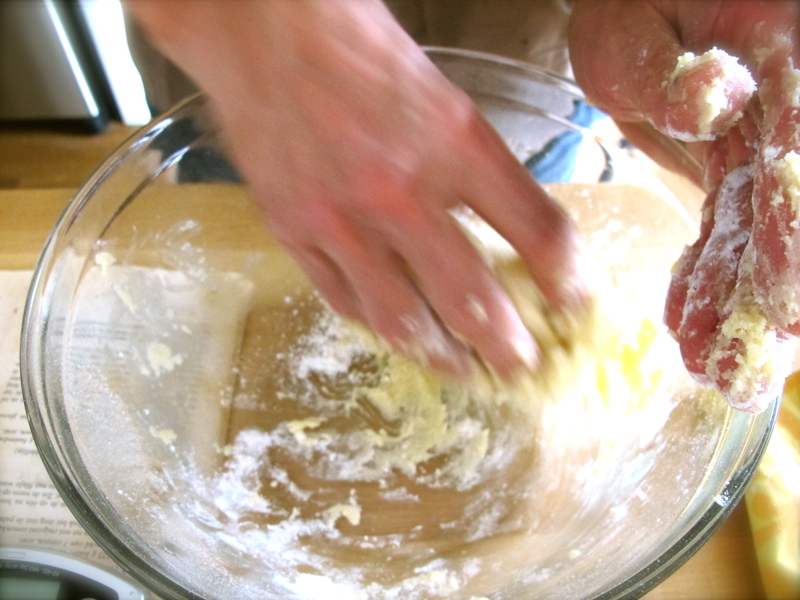 Using your fingers or a pastry cutter, mix all ingredients together in a bowl until you can form a pastry ball. 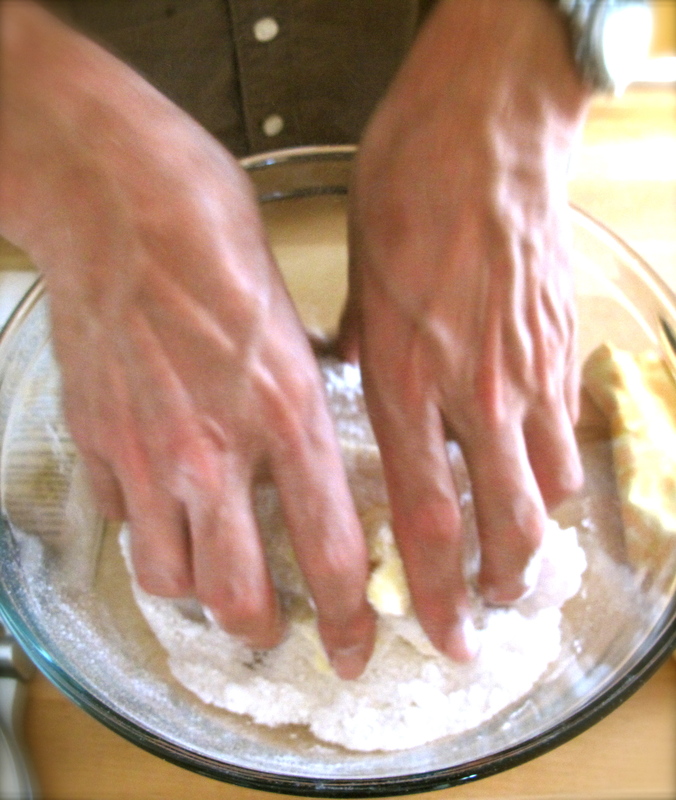 Add a bit of flour to your fingers if necessary. 2. 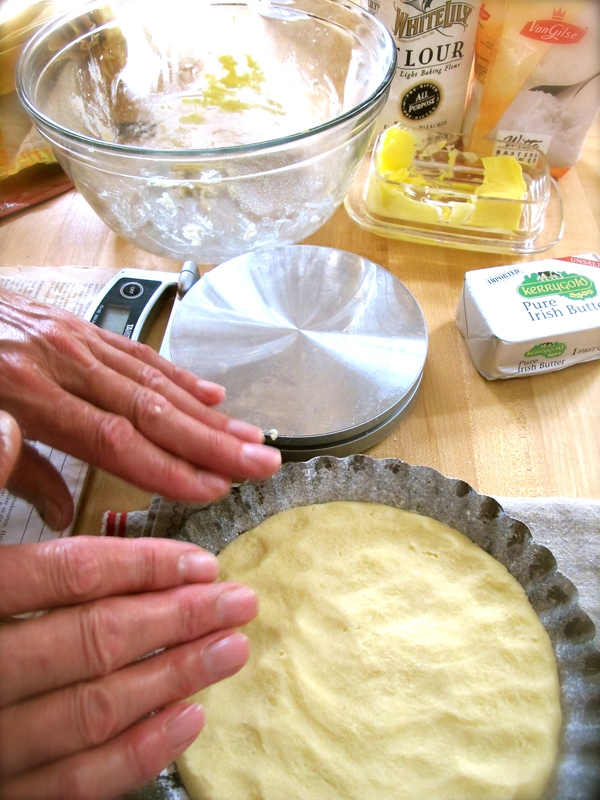 Press soft dough into a buttered & floured pan. 3. 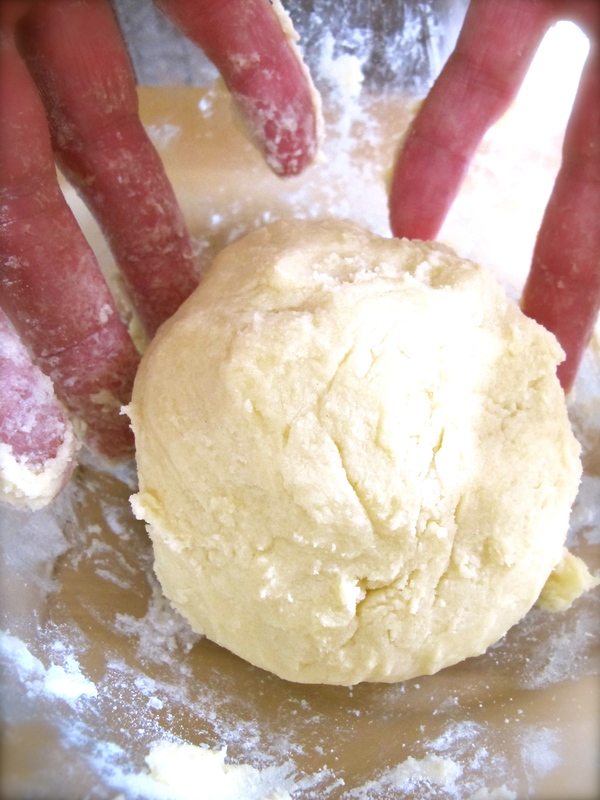 Bake for about 25 minutes or until dough is a light golden brown. 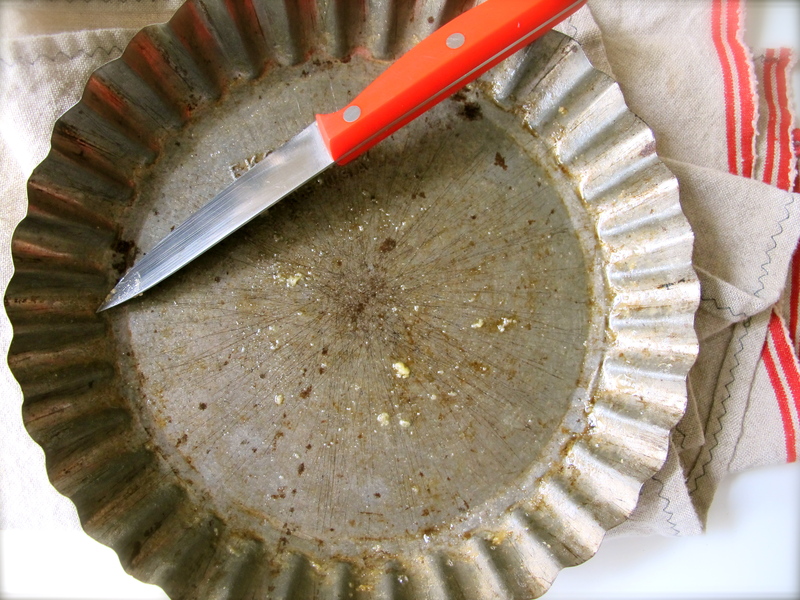 Remove from oven to cool. 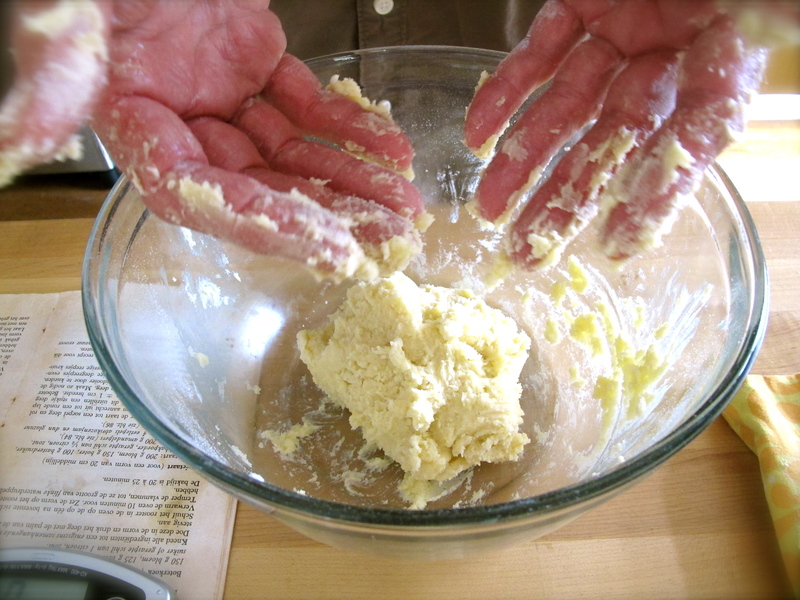 Dough will still be a bit soft, but as the sugar & butter cool the dough will set up like a cookie. 4. 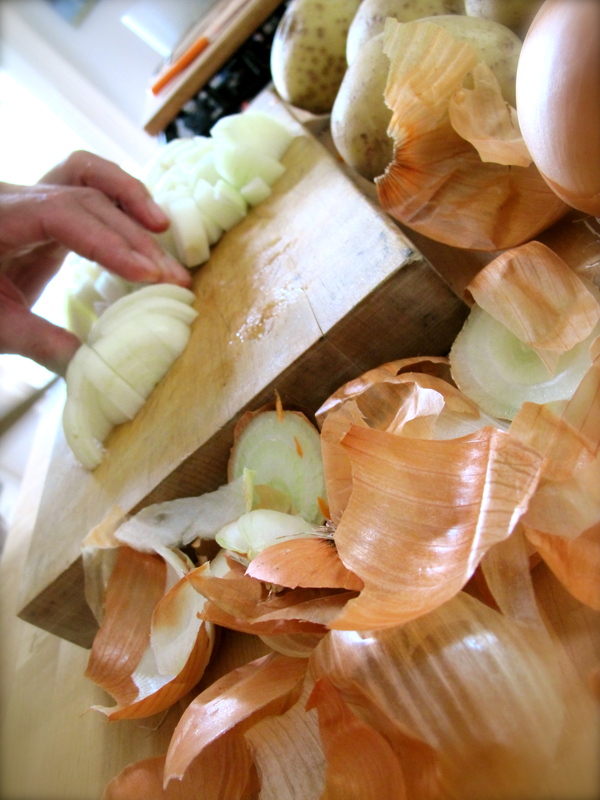 To serve, turn out on a cutting board and then invert onto a serving plate. Serving suggestion: We had originally planned to have this in the afternoon with hot tea, but as the day got darker and windier and it got cozier inside we decided the boterkoek would be fabulous with a glass of Nashville’s Yazoo Brewery Onward Stout for Wouter and a glass of Barista Pinotage from South Africa for me, both very dark wintry tastes. As we thought….the perfect tea time! Salad Note: At the last minute I rummaged through the fridge and came up with a simple salad by shredding fresh Spinach leaves, cutting some baby Pears & ripe Plums into julienne strips and drizzling with a bit of a Feta Vinaigrette. This is a non-recipe dish and you could substitute any greens or fruits that you have for the ones I used. I always like to have something a bit crunchy, green and fruity with my Thanksgiving dinner. 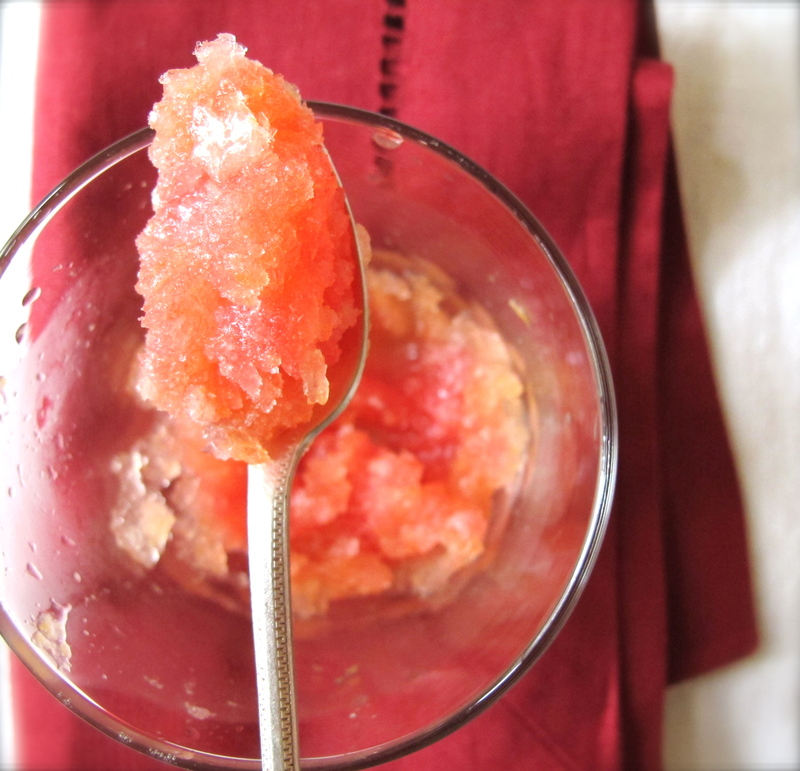 Recently the Relish Magazine folks were shooting some video at our house and Jill made this great Citrus Granita. 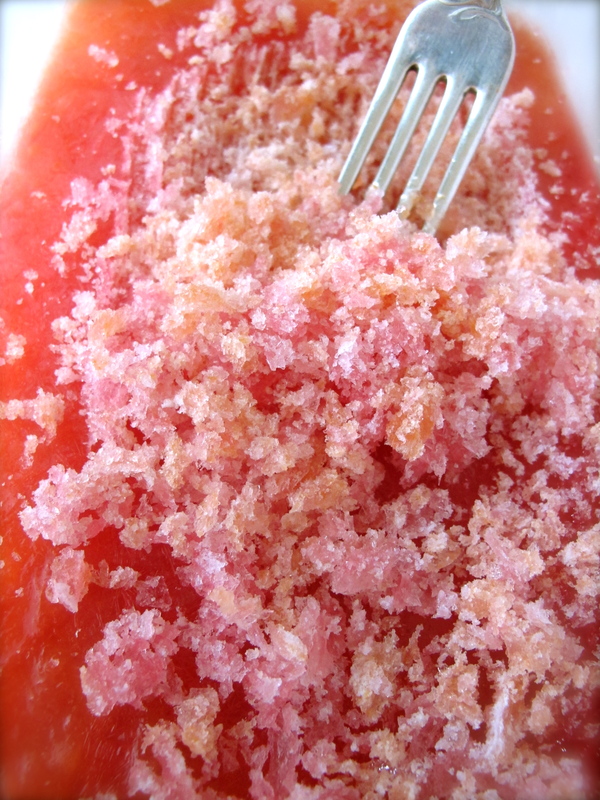 I did not get the actual recipe but it is so easy that anyone can do it without a recipe. Jill made this on camera, put it in my freezer and there is has been for a couple of weeks. Yesterday I wanted something really easy & fresh tasting for after dinner. This fit all my requirements. 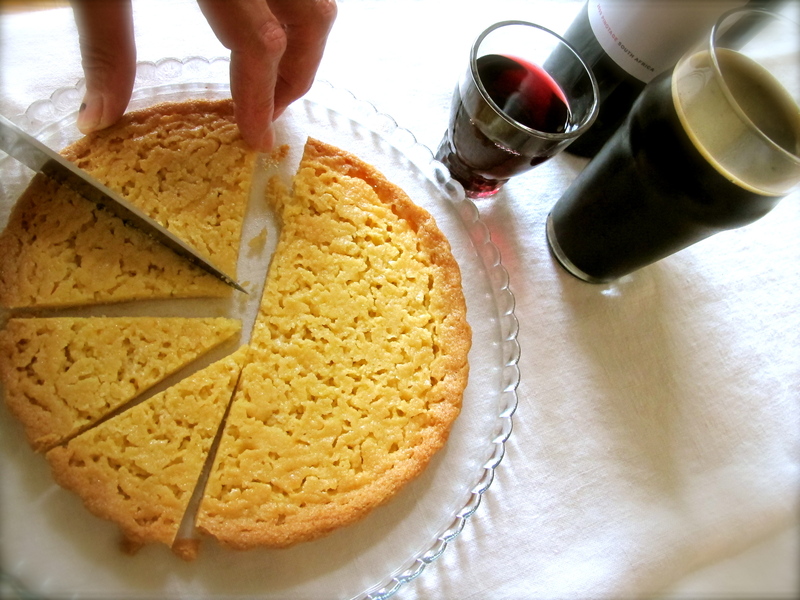 When I showed it to Wouter and let him taste it he loved it and said that it would be really great with a drizzle of my Limoncello. 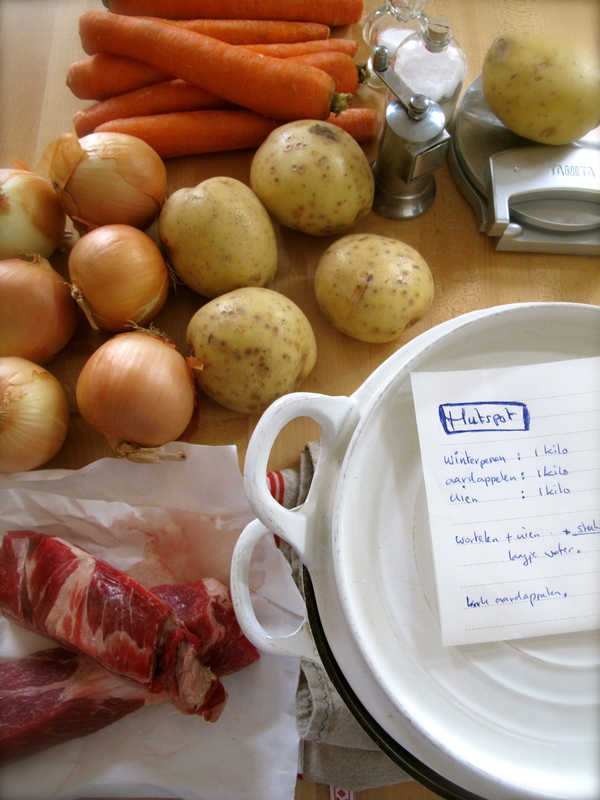 This is how recipes are born I think. 6 cups of freshly squeezed Citrus Juice – Jill used a combination of blood oranges, ruby-red grapefruit, navel oranges & lemons. Try clementines, tangerines or any of the wonderful citrus that is available all year-long. 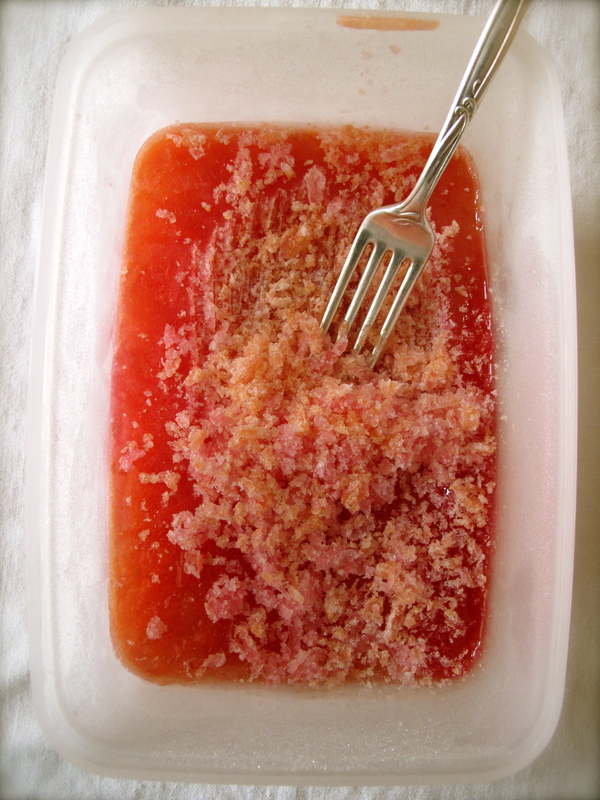 A simple syrup made using granulated sugar & water. About 1 cup. 1. Mix together the cooled down simple syrup and the 6 cups juice. Taste and adjust sweetness if necessary. 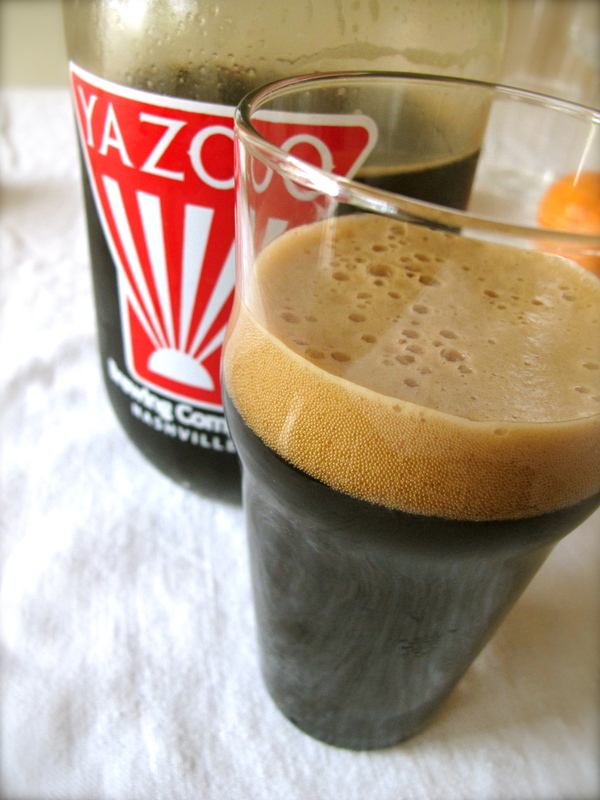 Pour mixture into a freezer container. Freeze until hard. The color is so absolutely lovely. As I scraped I could actually see all the different colors of each citrus used. 3. 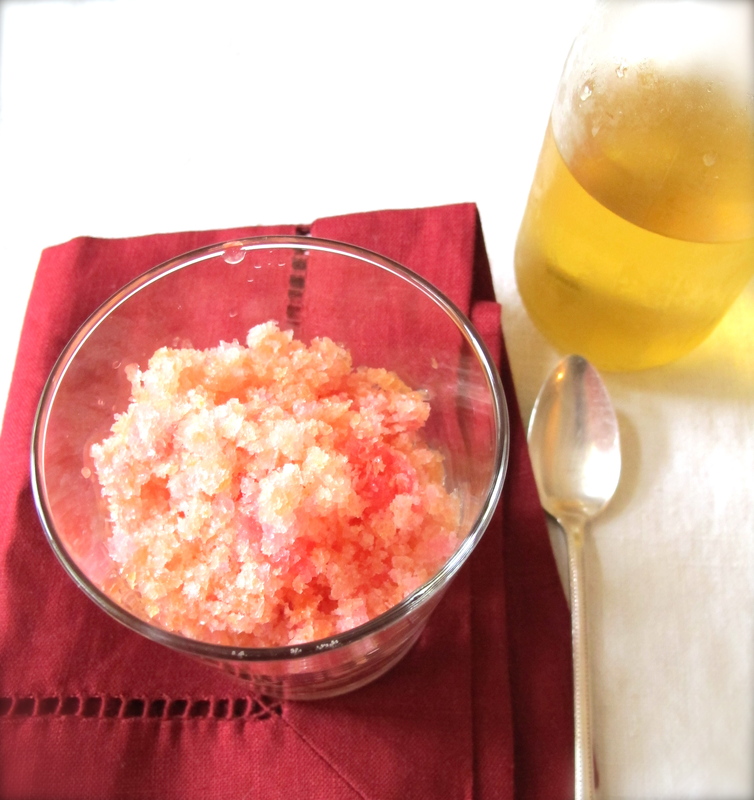 Put Granita into a short glass & drizzle with very cold Limoncello. 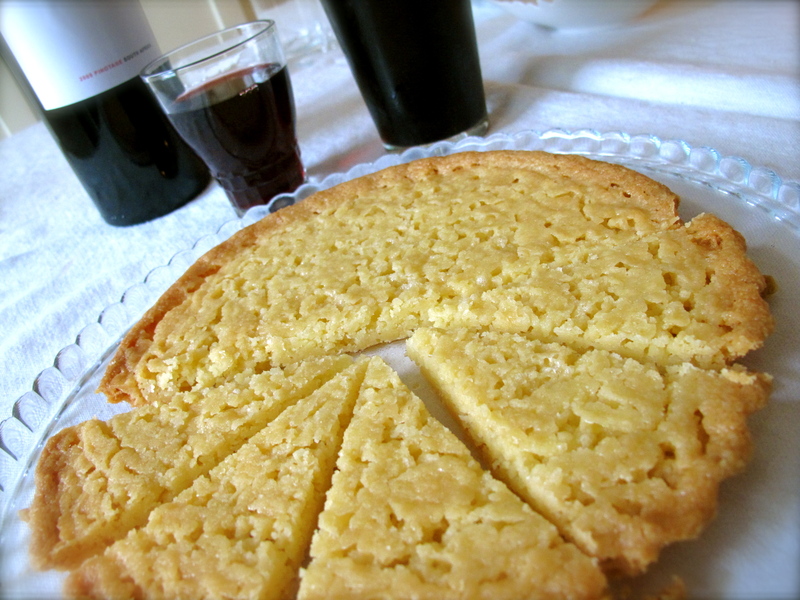 Very elegant, very easy and the perfect after dinner dessert-nightcap. ….and toasted our day….bon apetit. 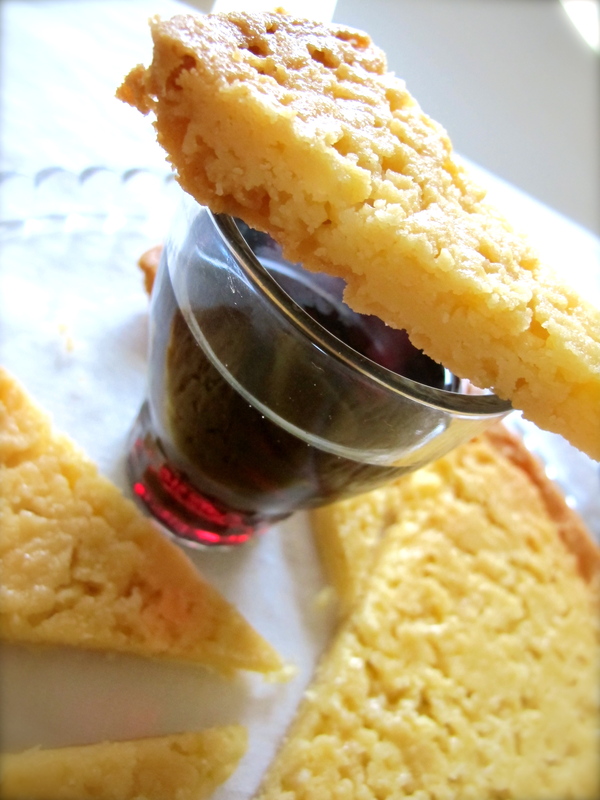 Next > Speculaas, Sinterklaas, Southern-style….. I am such a lucky man, because today LEFT OVERS and Hutspot is the second day always better. 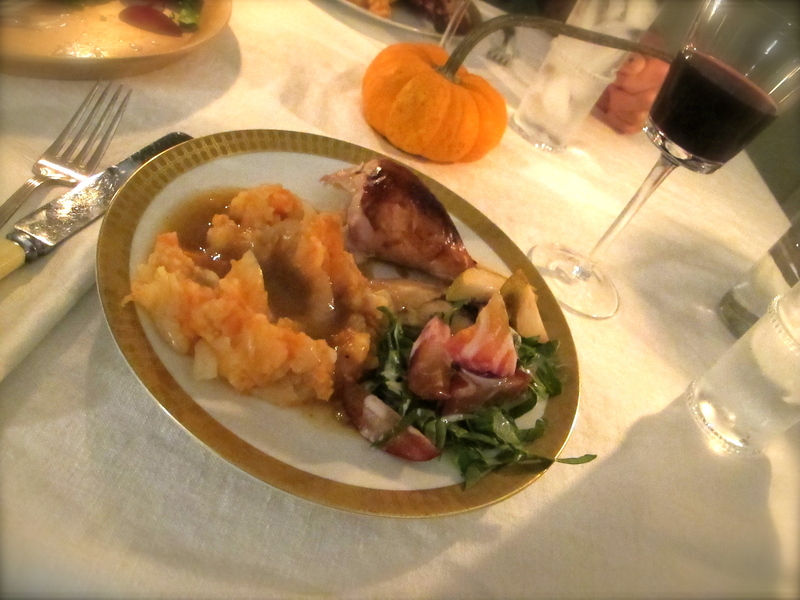 I had a great Thanksgivingday, oke guys there is really not more fun than spent the day cooking with your be loveit. sorry i missed it. oh wait: i wasn’t invited! i want a rerun. yummy i think, especially the smushed up veggies/potatoes. 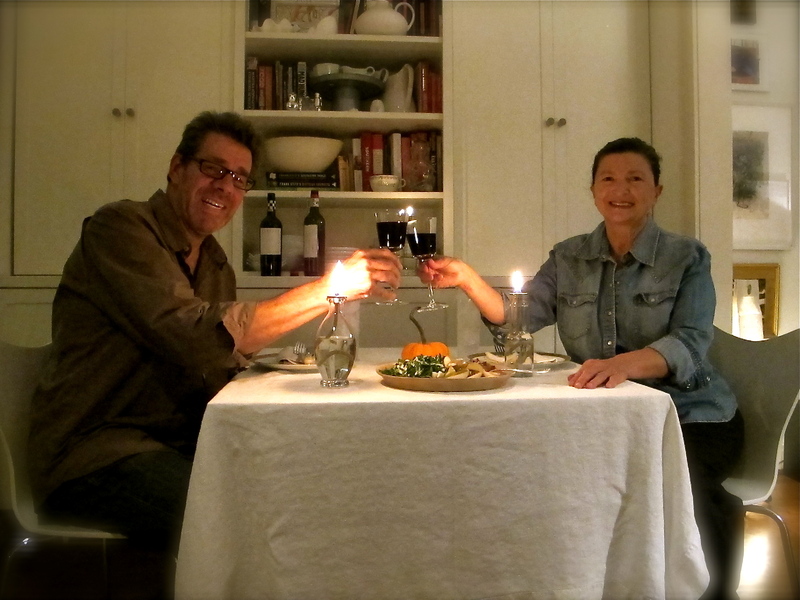 it was a veritable u.n. of a dinner and hopefully everyone had a great holiday. 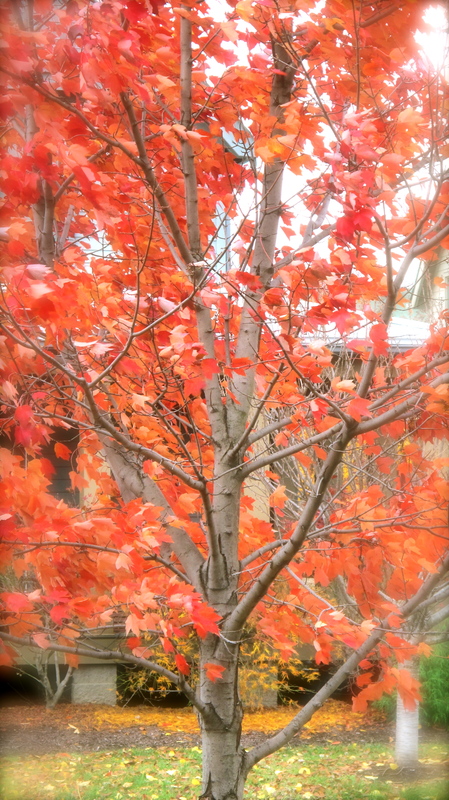 That all looks lovely…..I could have used a little of that peacefulness during my very wonderful but very “Duren” Thanksgiving ! Ha! 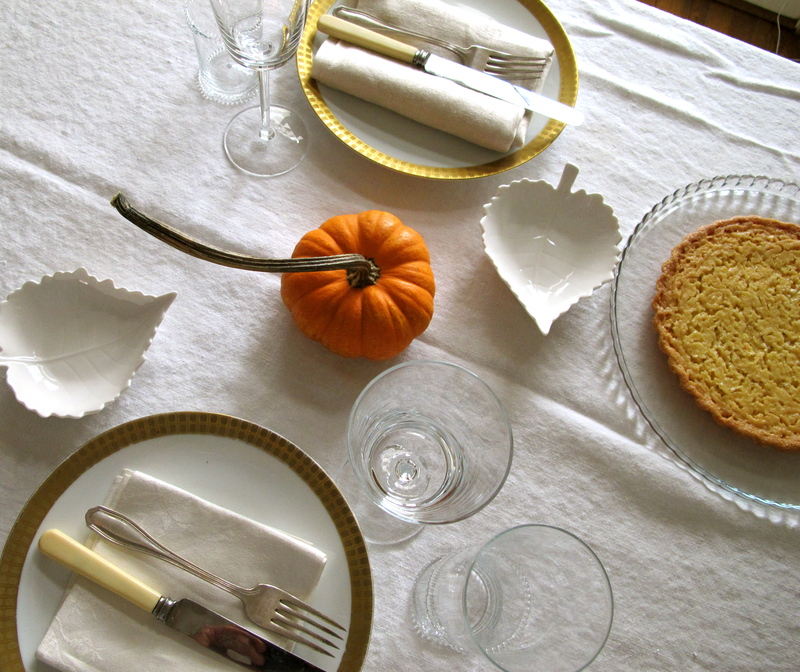 Looks like a lovely Thanksgiving, and I think that a quiet one is sometimes in order. 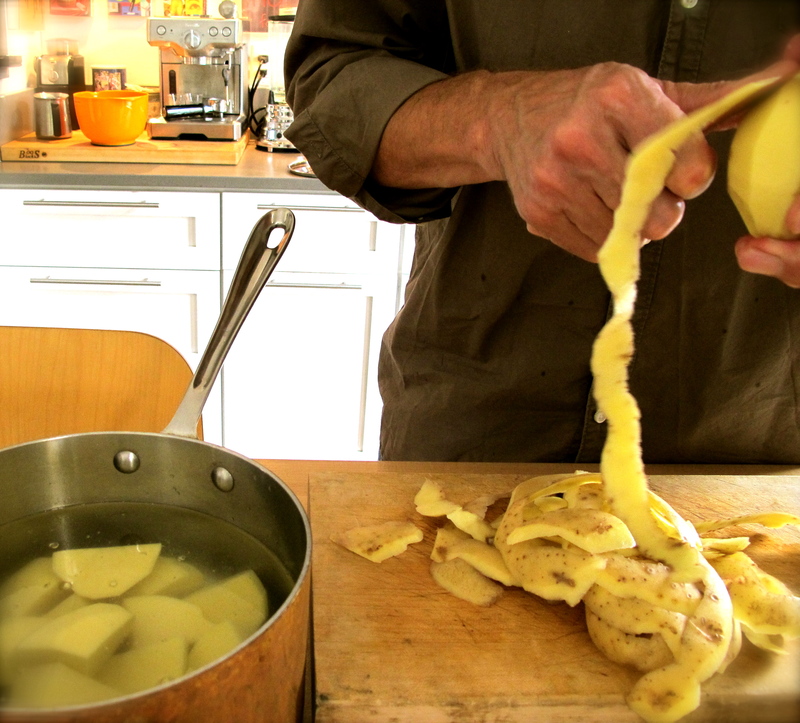 I had forgotten about Hutspot–I really like all those hearty Dutch potato-based dishes, all stomped up with root vegetables and such. Now, is it time for Speculaas?